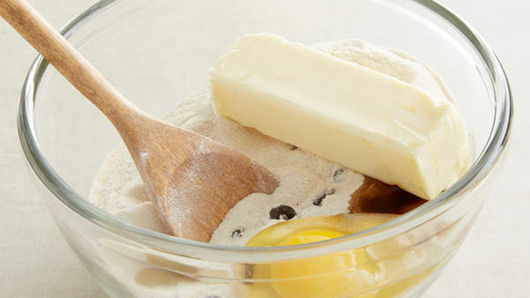 In medium bowl, stir Base and Topping ingredients until soft crumbly dough forms. 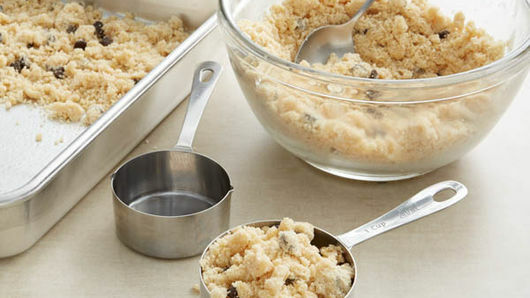 Measure 2 1/2 cups of the mixture by lightly spooning into measuring cups. Press into bottom of pan. Reserve remaining mixture for topping. Bake 12 to 14 minutes or until golden brown. Meanwhile, in large bowl, beat cream cheese and sugar with electric mixer on medium speed until smooth. 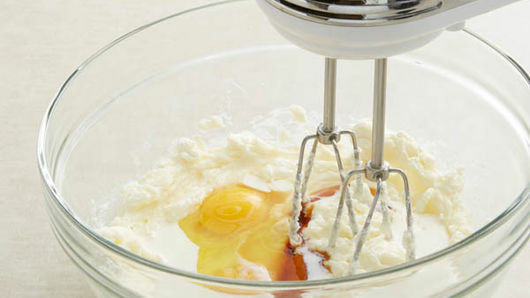 Add cream, eggs and 1 teaspoon vanilla; beat until smooth. Pour cream cheese mixture over baked cookie crust. Crumble remaining Topping mixture over cream cheese mixture. Bake 25 to 30 minutes or until mixture crumbled on Topping is golden brown. Cool 30 minutes. Refrigerate at least 2 hours until chilled. For bars, cut into 9 rows by 4 rows. Store covered in refrigerator. For cutting bars easily, line the pan with heavy-duty foil before baking, leaving edges of foil hanging over two sides of pan. When it is time to cut bars, just lift baked bars with foil out of pan, and cut. 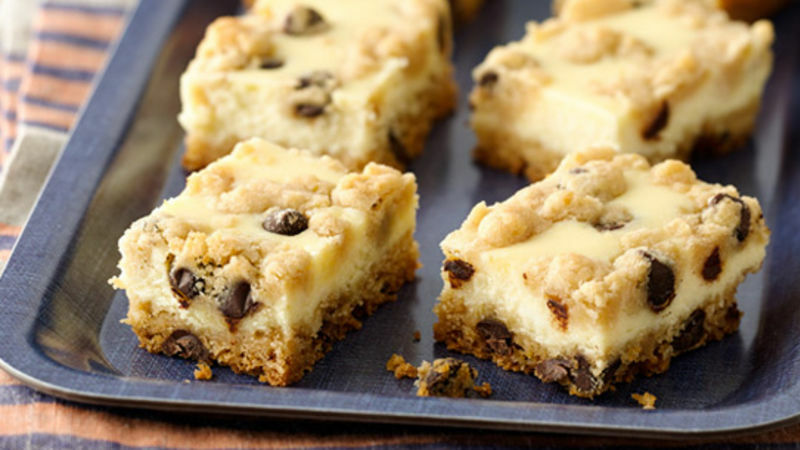 Cheesecake bars cut best when they are cold, straight from the refrigerator.